In pivot tables by default grand totals appear at the right end of the report. But sometimes the pivot table is so wide that user just can’t see the grand totals and we have to scroll every time we need to refer to that cell. Situation is even more frustrating if the width of pivot table is changing. For example in if you have slicers in place and every time report is filtered the width changes. In short, the right end is not all the time visible and is also shifting places. 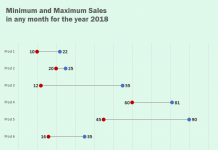 And it is happening just because it is at the RIGHT of pivot table. Problem will be solved if somehow we can have grand totals to the LEFT of the pivot table! If we have the grand totals at the left, it will not only be visible all the time but also won’t be shifting places every time we filter the report. It would be awesome if Excel provided us with such option right inside pivot table layout options but its not! So we have to improvise and yes there is a workaround and once applied following is the result! Drag the fill handle down as far as appropriate so that calculations are visible even if pivot table attains maximum length down the columns. Now with few formatting tweaks like coloring few cells, giving heading and disable grid view under page layout tab, its show time with slicers enabled! 3. 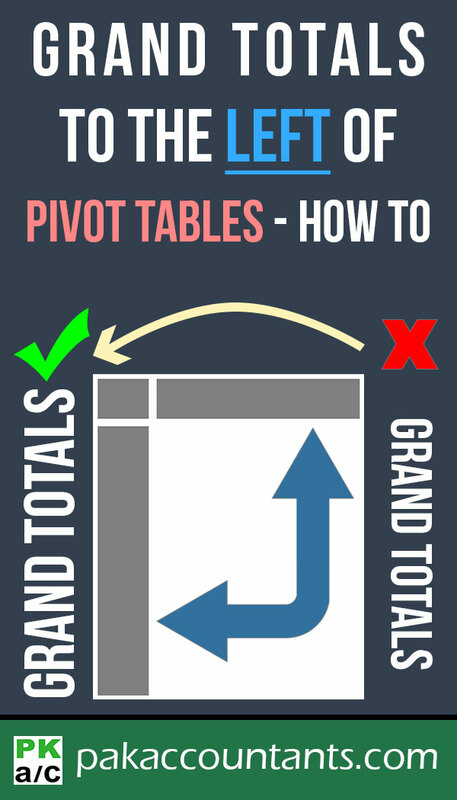 Click on the cell in the pivot table that you want to use GETPIVOTDATA to automatically reference the cell. 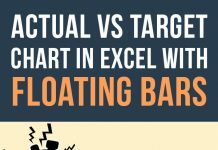 Excel automatically fills the formula. Even if the pivot table move or expands the reference will still work. good tips, can achieve a simialr thing using Hlookup – just extend the range way to the right – or be clever with an inbuilt offset fucntion perhaps) – anyway thanks for this as it sparked me to use HLookup and get the result i was after. on making break even graph i want to fill color differently for loss area before break even point and profit area with different fill color and also outer area with also different color.